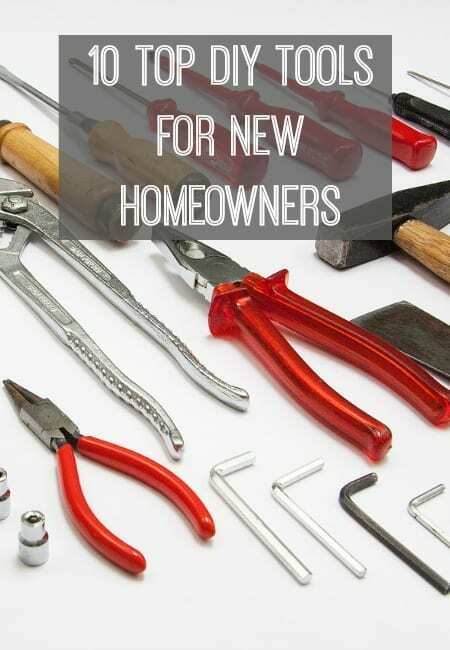 Welcome to today’s guest post where we are talking about the top DIY Tools that every new homeowner needs. A great list if you’re looking for some Christmas gifts for your DIY loving partner too! Enjoy. If you’ve just got your foot on the property ladder then congratulations – now the fun really begins! Whilst turning your new house into your dream home you will probably notice a few repairs or replacements that need carrying out. Cracked tiles, leaky taps, and fixing damp that’s been painted over by previous owners are all common problems. In fact, a recent survey by insurance company LV= has revealed new homeowners spend on average £4,205 fixing hidden problems in their new property. But don’t worry – with a bit of web surfing for DIY tips, and websites like DJM Direct, you can tackle many of the common problems yourself and learn some valuable home improvement skills along the way! 1 . Screwdriver set: Invest in both flat head and Phillips head (with a cross shaped end) – at least a couple of different sizes of each should see you through most DIY projects. For extra ease and convenience invest in an electric screwdriver with a set of interchangeable heads – the reverse screw feature is an absolute blessing when you’re taking something apart. 2. Claw hammer: You’d struggle to carry out even the most basic of DIY projects without one of these. From putting nails in for hanging pictures, to using the claw feature to pull bent nails back out, this is one tool you really can’t do without. 3. Combination Pliers: Pulling, pinching, clamping, stripping wires and bending metal, the humble set of pliers will come through for you time and again. They tend to have a long thin tip making them the perfect tool for delicate work in small areas where space is limited. 4. Adjustable Wrench: The sliding jaw of this useful tool can change its width and allow you to use it on nuts and bolts of a variety of sizes. 5. Tape measure: Whether you’re checking to see if a sofa fits in a room or you’re hanging wallpaper, a tape measure is likely to feature in most of your DIY projects. Opt for a sturdy metal one of around 20 feet long. 6. Spirit Level: Put that spirit level app on your phone away and make sure you invest in the real thing. This simple tool with its bubble feature will truly stand the test of time. 7. Electric drill: Look for a cordless rechargeable drill to save you hassle. This piece of equipment can last you a lifetime if you get a decent model, so buy the best you can afford and you’ll be reaping the rewards for decades. 8.Crosscut Saw: A good general purpose handsaw with medium size teeth (approx. 7 teeth per inch) will see you through a variety of projects, whether taking down branches in the garden or cutting timber for woodworking. 9. Stanley Knife: Whether it’s cutting up old carpet into manageable chunks or simply opening a well wrapped box, the super sharp blade of this knife will cut through textiles like a hot knife through butter. 10. Torch: Having a torch to light up dark areas makes working so much easier but is also essential for your safety, allowing you to see exactly what you are doing. Lighting up dark areas when you need to work with two hands is made possible when you have a head lamp too. 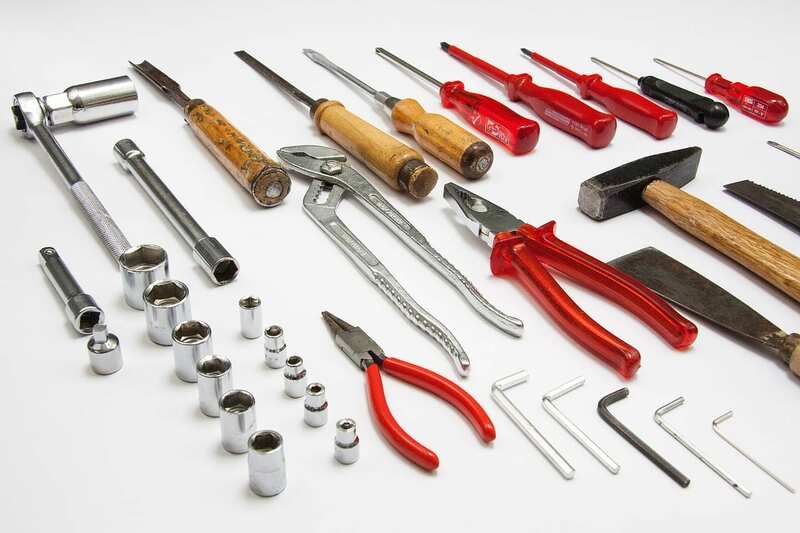 The tools you mentioned here are the most important, wich must be present in any property!